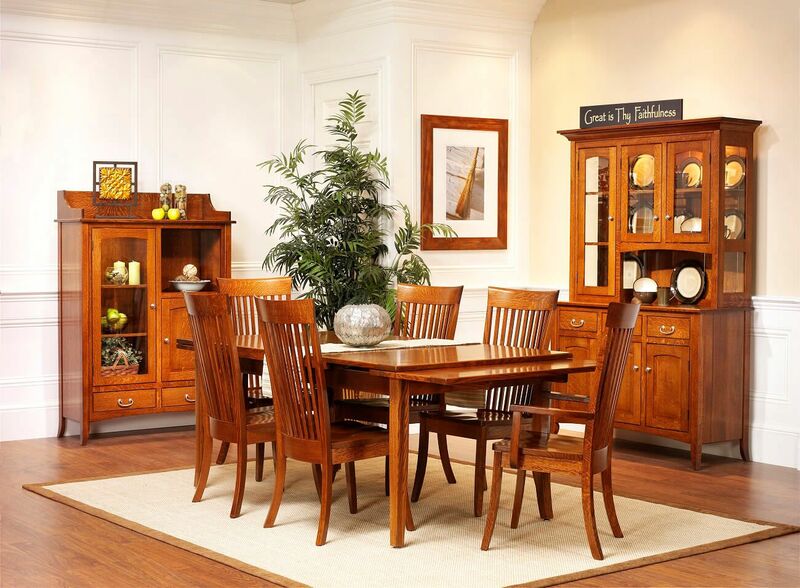 Gather up to twelve at the Jericho Dining Table which is made-to-order by our experienced Amish artisans of your preferred American hardwood species. 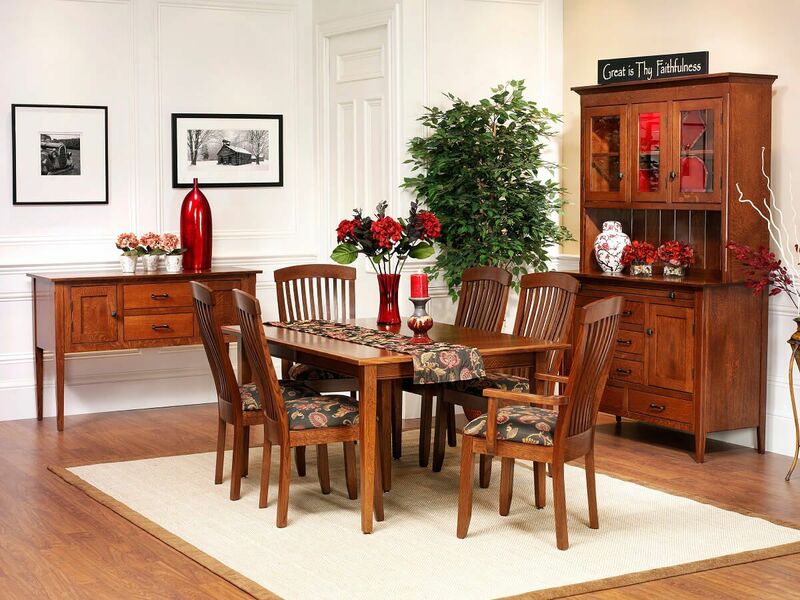 Promote growth and family communication around this carefully crafted custom Amish dining table. 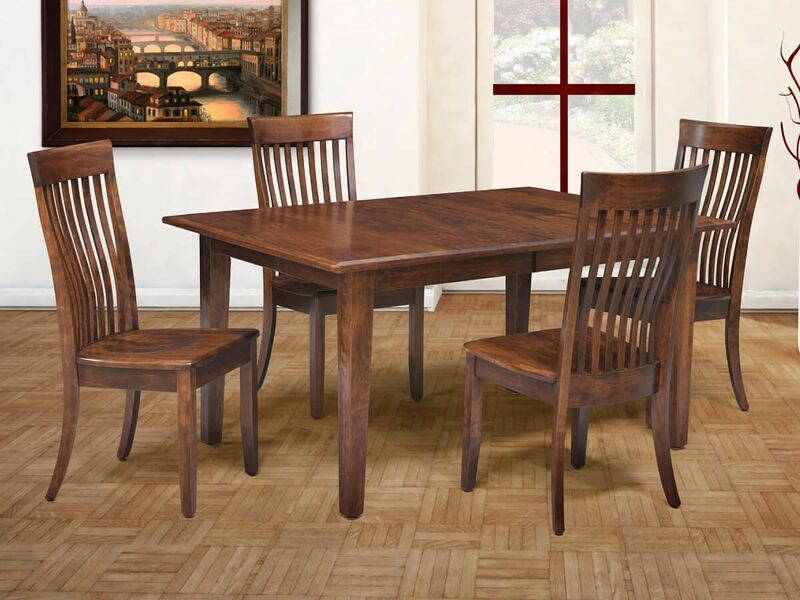 Dinner conversations will have four or five sturdy, reinforced, adjustable, wooden legs to stand on when you invest in an Jericho shaker style dining table. Up to six optional, self-contained leaves can be added on solid wood slides so that you can easily expand your one inch thick table top. Rectangular in shape, the Jericho Expandable Dining Table employs hardwood selected by hand to forge a table top which is then finished with a catalyzed top coat that stands up to spills and stains. 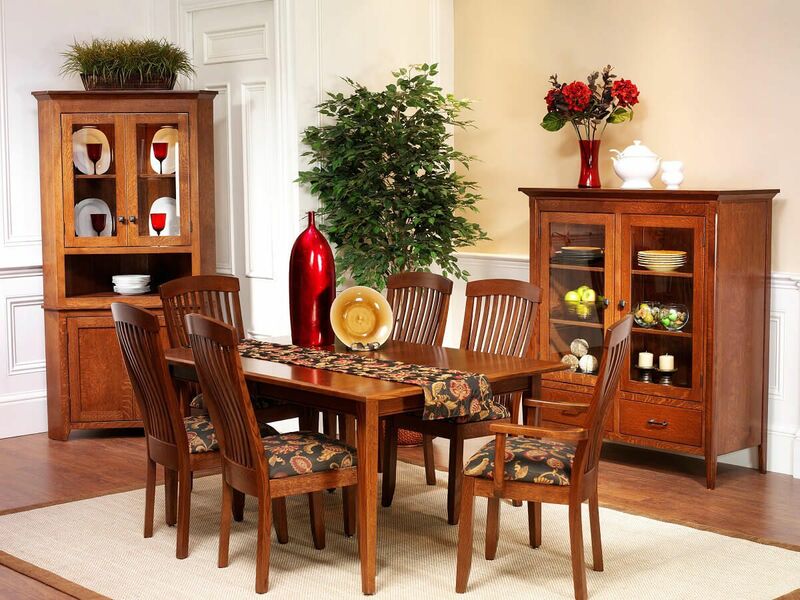 Quality is assured by the time tested traditions of our Amish artisans. 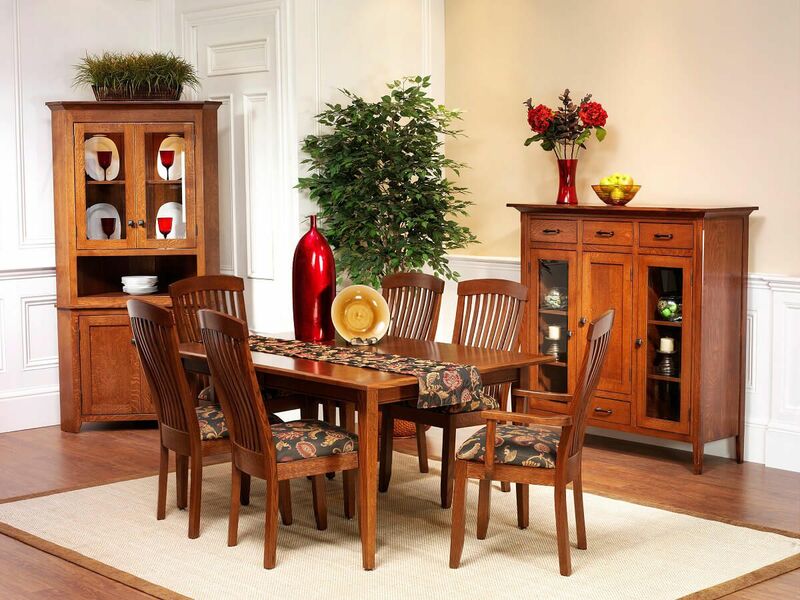 Wood species, stain color, edge profile, size, and leaf numbers are all up to your discretion. 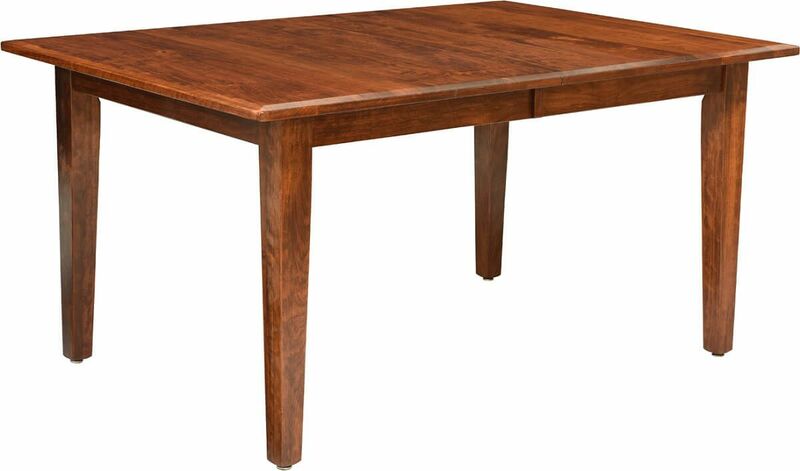 Your one of a kind, Shaker-inspired Jericho Dining Table awaits. Floor to apron is 25 5/8"